Turbocoating was originally a division of Flametal S.p.A., a coating facility specialized for surface treatments for several industrial applications, among others gas turbine. Flametal was founded in 1976 and sold to Praxair in July 1999, which then became a separate independent company in September 1999. Turbocoating S.p.A. becomes a separate independent company owned by Mr. Nelso Antolotti. Turbocoating is coming from four decades in thermal spray industry by continuously advancing in research, development, innovation and manufacturing techniques. 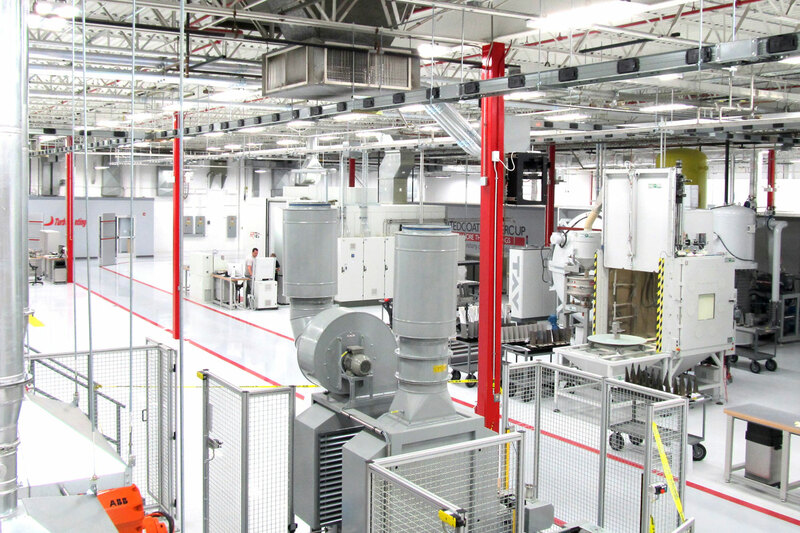 Today, Turbocoating operates two facilities, one in north America (NC) and one in Europe (Italy), with the capability to provide coating and post-coating treatments for OEM land based gas turbine and aircraft engines. We have developed throughout the years from a typical coating job shop to an excellence centre for manufacturing gas turbine parts in an engine ready configuration. In fact Turbocoating is able to provide all the treatments on turbine parts after casting and machining. In 1999, Turbocoating initiated its development with a large investment to offer vacuum plasma spray, air plasma spray and heat treatment services serve OEMs. In the following years further coating technologies were introduced such as HVOF and diffusion coatings to complete the range. Investments in R&D and innovation are the part of the core values to maintain Turbocoating at the highest technological level in the market. These values are key for making us be a true partner to the OEM industry. Turbocoating R&D projects are managed from the technical side but also from legal and financial point of view. This structure is an integral part of our organization being made available for joint developments with our customers. Our business increase has been continuously supported by investment in innovation R&D and prepared people. Good balance of experienced people and young, well prepared and motivated engineers and technicians. Turbocoating with two main facilities located in Europe (Italy) and USA (NC) is closely supporting OEM demands in the power generation industry. Development, Innovation and entrepreneurship have been the technology drivers of the business. In an era of globalization Turbocoating is ready to follow you becoming your partner globally. Turbocoating undertakes to keep confidential the technologies and process know-how developed for each customer. Our philosophy is to sign long term agreements with our customers in order to enhance and develop our services with the prime target to invest capital to meet customer and market needs in a profitable environment.